Just added this one to the 'fakes and fantasies' case. Apparently, it was created last year !! The faker could not spell (Grossbritannien) !! I think this is the first time that the three original Albin Scheer (Spring, 1945) hand-engraved trial pieces have been photographed together ........... to show the scale. The Type II Warsaw in the middle (designed by BvA on 14th December, 1944) is my own personal favourite !! Latest .......................... the complete set of originals and the complete set of fakes/fantasies. Only the Memel is missing ........................... and that just existed as a 1960s drawing. Jock. I agree with you to some extent ................. I'm a purist as well. I'd never mix copies with originals in the same display. But these early Souvals can't just be written off as junk. It's a bit like collecting 19th Century Gerz copies of Renaissance Westerwald pottery, or Victorian copies of medieval armour. These copies are now bona fide antiques in their own right. Old copies themselves become collectable as the years pass ................... If they are of sufficiently good quality. Hello Alex. I often think that the hollow L/58 Souval Oaks were a bit like the original hollow Oaks for the PLM .................... this was the PLM of GFM von Mackensen. The price of early (L/58) Souvals seems to be going up. These Oaks sold today on eBay ........................... minus the ribbon ................................. for 322 Euros !! They were properly advertised as Souval copies ............... so the buyer knew what he was getting. Hello Alex. Thanks for the info on the 1970s 4-piece lightweight construction. I didn't know that .................. about the 4 pieces. Explains the weight. Or lack of it !! I also bought one of these later lightweight Souval 'RK O&S' things when I was about 15 years old ................. around 1973, I think. 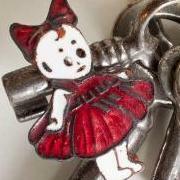 Seller said it had been found at a Luftwaffe base at the end of the war. Sold it to me for £150. That was BIG money for me, back then. Even as a wet-eared youngster, I concluded it was fake when I compared it to my much better made original EK2 ................ bought for £3 from Stan Paget in Dundee in 1970 ............. and (luckily) got my money back. We learn from our mistakes !! As I recall, the lightweight looked something like the pix below ................... Thanks again for this info. The cross on the right was brought back by a British vet in 1946 ...................... Price of a Souval as against an original ................................ Good value, I think. 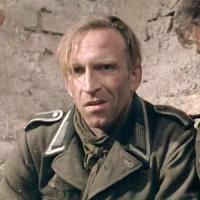 Best of all, Major Mohn might have worn a Souval in the 'Colditz' series from 1974 !! Finally, if the cross on the right is the best that the Bavarian State Army Museum at Ingolstadt could come up with when I visited there in 1998, I'd rather have a 1960s Souval ! !